The #1 Stereoscopic 3D Gaming (VR Gaming, 3D Gaming) and VR Resource | Meant to be Seen - Journey 3D Movie Review, E3 News, NAW & Thanks! First thing’s first - special thanks go to Pam Swartz for putting this review together of the movie Journey to the Center of the Earth 3D. Give it a read and post your thoughts in the related thread. She gave some strong opinions on the movie’s stereoscopic 3D quality and entertainment value - do you agree? While we are not present at E3 because of other commitments, we still have some material to share with you! Ubisoft has sent some exciting screen shots of their upcoming PC titles including FarCry2, Tom Clancy’s HAWX, and Brothers in Arms: Hell’s Highway. You can check them out for yourself in our Upcoming Games Gallery. 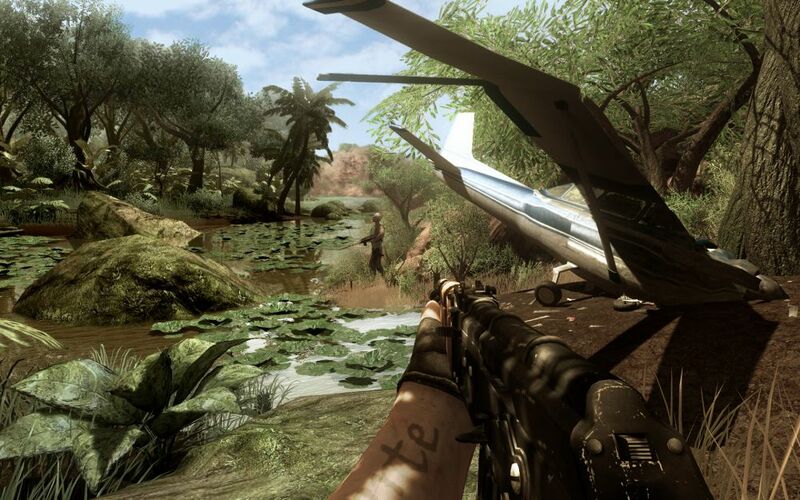 See what you think of the latest FarCry2 images. I can’t put my finger on it, but they seem to have an uncanny resemblance to the original FarCry, but with souped up Crysis-like graphics! I really hope this game translates well to the S-3D market the way the original FarCry did. Finally, MTBS Nations at War is back in full swing with more bug fixes. Expect another website update with some related news in the coming days. We would also like to thank SirC for the hard work he put in to our latest MTBS banner found in the forums.